We are so thrilled to share our very first issue with you all! We have worked very hard on this issue to display creative, talented artists. At Hooligans we strive to share the best in the industry, featuring fresh brands, modern toys, and sublime editorials. The Hooligans team is so gracious to receive the support of so many in our new journey. This week we surpassed 1,000 Facebook fans, and couldn’t be more gratified. 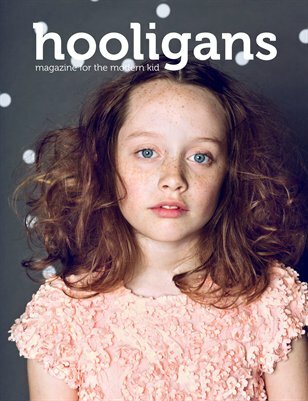 Hooligans is a brand new magazine featuring children’s fashion, art and design. This quarterly print publication is full of editorials shot by talented photographers from every corner of the world. We are also highlighting innovative products, the best in interior design and art- all for children! This entry was posted in Issue Release and tagged art, childrens magazine, fashion, fashion magazine, hooligans, hooligans magazine, hooligansmagazine, kids fashion, kids magazine, magazine.